We have a map in the house with little pins in it for all the places we have visited. We haven't added a lot of points in recent years though we did go to Michigan last fall. Both of us would like to change that so I did this page to celebrate a few of the places we have been and remind us to get out there and travel! One of our habits is to take a long walk on our first day in a new place - and get lost. Of course we don't plan to get lost but it has happened so many times it is expected. Oh, that would make a good page, too. I put dots on this map with a permanent marker and that inspired the title. 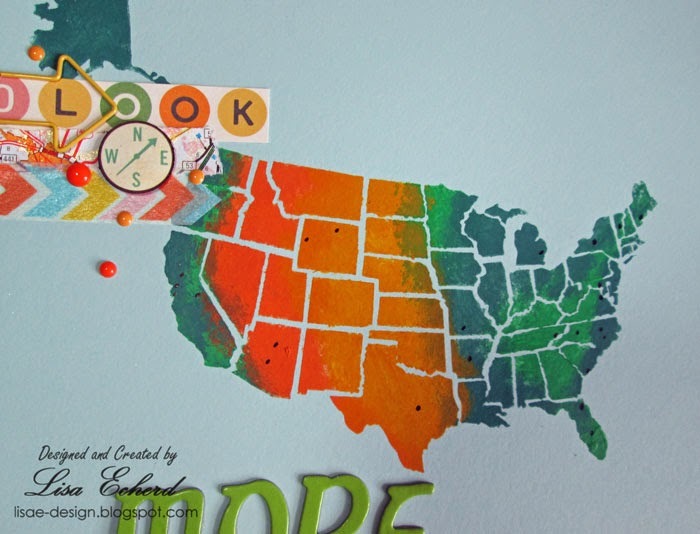 The map is created using Crafter's Workshop Mini US stencil and several different craft paints. 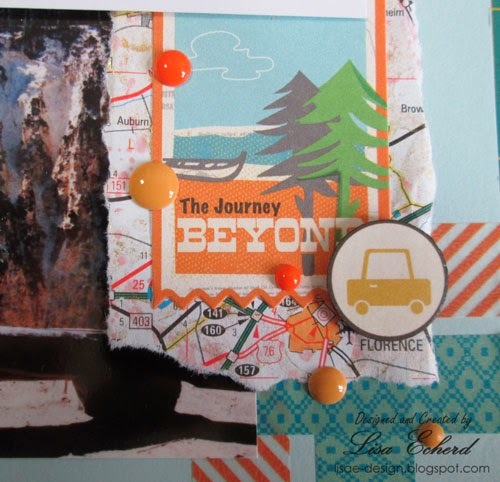 I matched the paint to October Afternoon's Travel Girl papers. I match things close but not perfectly. I think mixing paint is fun. I love seeing what you can get. This time I used a light tan rather than white to lighten colors and it dulled them just enough to match the papers closely. Some Washi and a few stickers from the collection finish it off. Do you like to travel? Where in the world do you most want to go? Don't forget May Layout A Day starts in just a few weeks. Get a lot of scrapping done. Lisa, love the colors and the stencil. Such a fun layout! 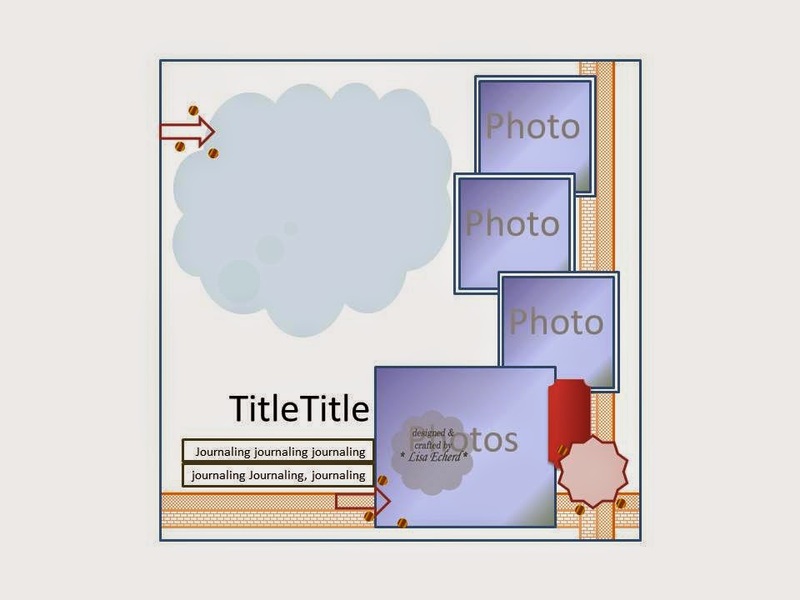 Fantastic layout, Lisa, love the topic and the title! I love your paint treatment of the map and the idea behind it. 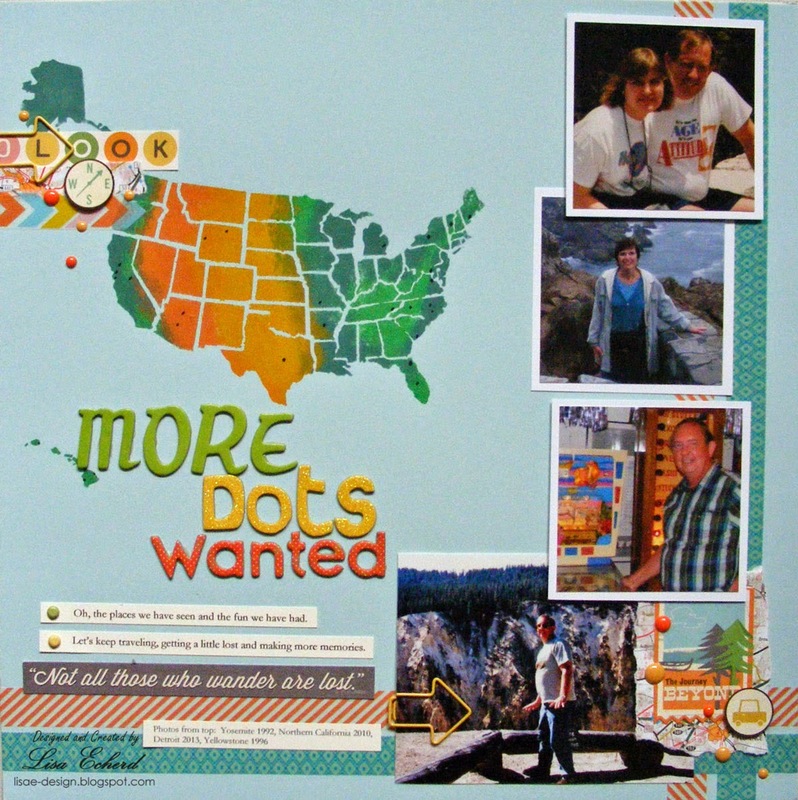 I love traveling and can't wait to add more dots on my family's map. Great page!